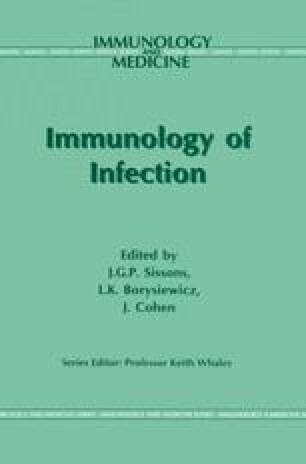 The control of infectious diseases by vaccination has been applied to an ever-increasing number of veterinary and human viral pathogens since Jenner’s observation that smallpox can be prevented by prior inoculation of individuals with cowpox. The eradication of smallpox over a decade ago is the most notable example of a successful vaccination programme, achieved by employing a stable product and a well-coordinated programme of delivery and surveillance. Particular reasons for this success include the probable absence of an animal reservoir, absence of multiple serotypes and ease of vaccine delivery. This is not always the case, however. For example, zoonotic infections (those with a natural host species other than man) can be controlled at best, and cannot be effectively eliminated. Rabies is a good example: Pasteur’s use of formaldehyde for the inactivation of live rabies virus was a novel approach that is still widely used in vaccine production (Table 1). Another good example of a virus that cannot be eliminated is yellow fever: continuing vigilance for the emergence of infections from the natural monkey host is required. Here the approach has been to develop strains by passage in vitro to a degree whereby growth is restricted to non-target organs and tissues. Vaccination strategies are often hampered, however, by the tendency of viruses to undergo rapid antigenic variations in response to increasing levels of herd immunity (e.g. influenza), by the stability of existing vaccine materials (e.g. measles virus) or by changes in social behaviour e.g. hepatitis B human immunodeficiency virus (HIV).